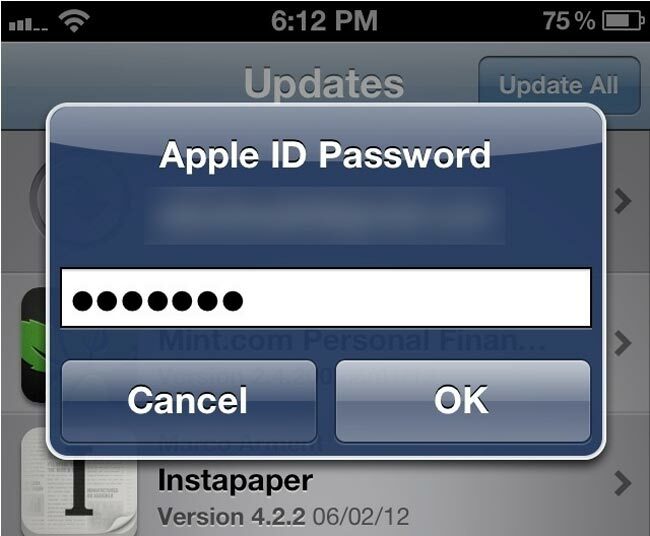 Apple has made a few changes to the way free app downloads will work in iOS 6, it looks like you will no longer need to enter your password when you are downloading a free app. It the latest iOS 6 Beta 3 version you no longer need to enter your password when you are downloading a free app, and also when you are updating your existing apps. It will be interesting to see if Apple keeps this feature in when they launch the final version of iOS6, which is expected to launch around the same time as the iPhone 5 with a rumored September or October launch date.